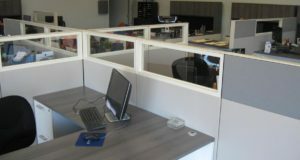 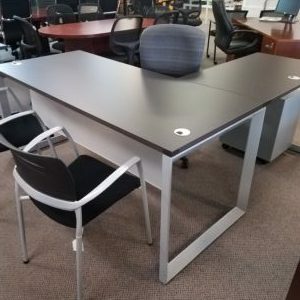 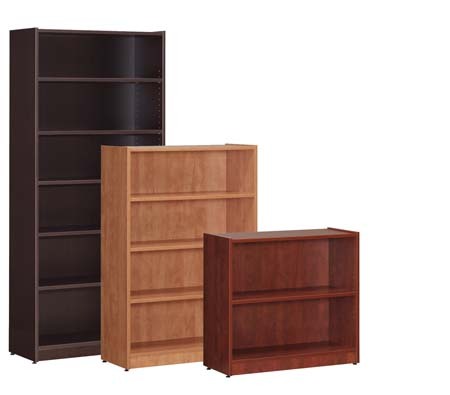 Premiera laminate bookcases by Performance feature 3/4″ melamine laminate with 3mil PVC Tough Edge. 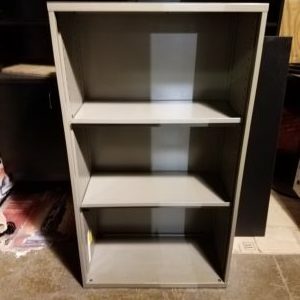 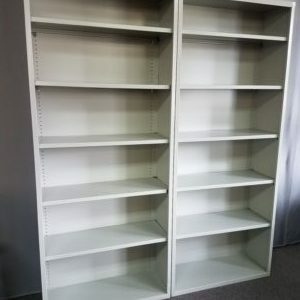 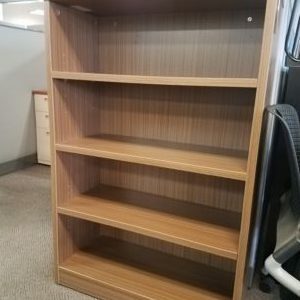 All bookcases are 31 1/2″w x 13 3/4″d. 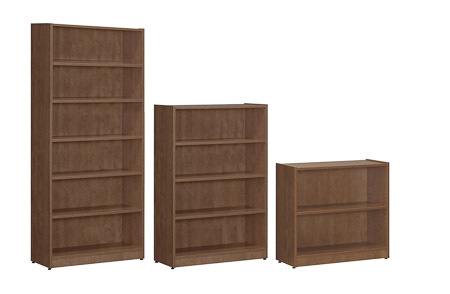 These bookcases match the Premiera laminate casegoods.